The Hamilton Police Service was the first in the province to bring in a formal unit, back in 1960. Currently, Hamilton’s K9 Unit is comprised of four officers and their assigned police service dogs - Scout, Jake, Chase and Armour. The officers and their assigned dogs undergo an extensive 16-week training course to learn how to chase, track narcotics, firearms, explosives and even missing persons. 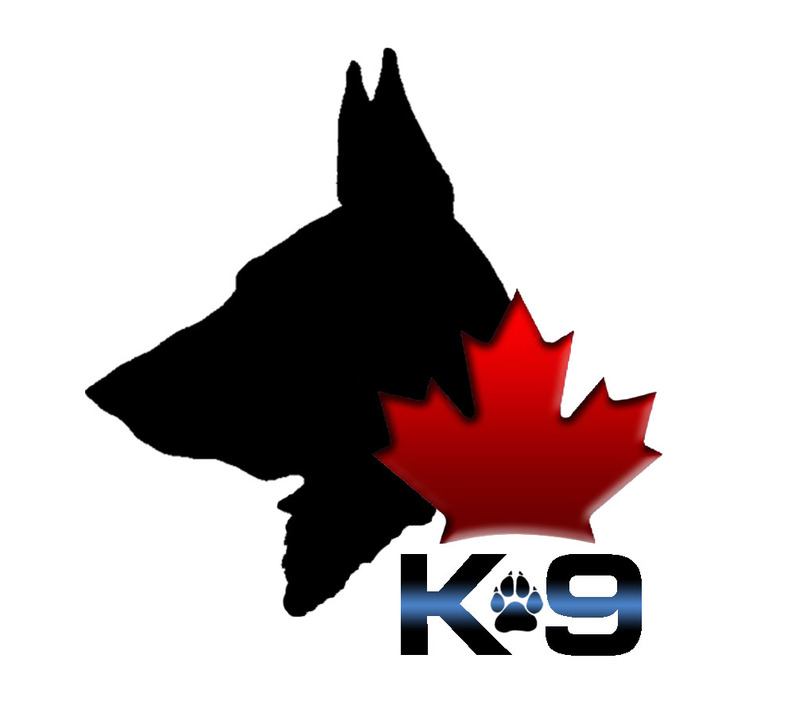 The K9 Unit is an enormous asset to the Hamilton Police Service family and are often utilized in serious calls such as robberies, weapons calls, drug calls and ground searches. 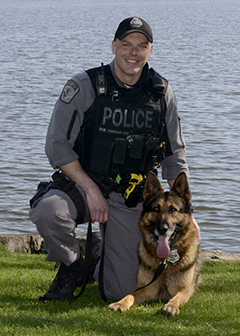 Officer Kerkhof has been a member of the Hamilton Police Service since 1997 and joined the Canine Unit in 2013, where he was partnered with Police Service Dog “Scout” who is a purebred German Shepherd. Scout was born in Hungary in October, 2011. He was raised in Belgium before coming to Canada. PSD Scout is trained in human scent detection, including tracking, area & building searches, evidence search, criminal apprehension, search & rescue as well as Narcotics, Firearms and Currency Detection. Scout exemplifies the Hamilton Police K-9 motto which is "Semper Fidelis" which means "Always Faithful"
Officer Willson has been a member of the Hamilton Police Service since 2008 and joined the Canine Unit in 2014, where he was partnered with Police Service Dog “Jake” who is a purebred German Shepherd born March 28, 2013 in the Czech Republic. PSD Jake is cross-trained in human scent, narcotics, firearms and currency detection. Together they provide support to officers by locating missing, lost or wanted persons, evidence, as well as tracking down and apprehending fleeing criminals. Jake’s motto is: “Jaws and Paws Enforcing Laws”. 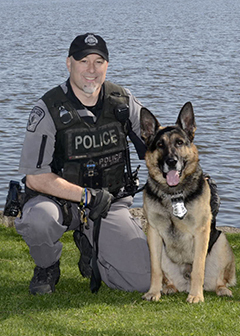 Officer Sabatini has been a member of the Hamilton Police Service since 2003 and joined the Canine Unit in 2009. Officer Sabatini has been partnered with Police Service Dog "Chase" since September of 2016. Chase is a mix breed consisting of both German Shepherd and Belgian Malinois. Chase was born in the Czech Republic on November 14th, 2014. PSD Chase is cross trained in human scent and narcotic detection. Together they support and assist officers in locating persons and apprehending criminals. Chase's purpose is to ensure his "paws uphold the laws", while his message is "not to worry, Chase is on the case". 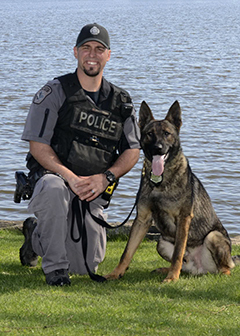 Officer Kikas has been a member of the Hamilton Police Service since 2007 and joined the Canine Unit in 2013. He is partnered with Police Service Dog “Armour” who is a purebred German Shepherd. Both of Armour’s parents were born in Germany and he was born on July 4, 2012 in Des Moines, Iowa, USA. PSD Armour is cross-trained in human scent as well as explosives detection. 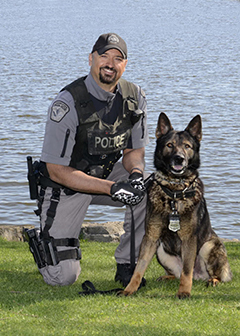 PC Kikas and PSD Armour together assist other members of the Hamilton Police Service with suspect apprehension, locating missing persons and any other call for service they are required for. Armour’s number one priority is to keep the community he serves SAFE.